I got this HDR shot today of the Georgia Dome where the Atlanta Falcons will be playing the San Francisco 49’ers this Sunday in the 2013 NFC Championship Game. I am so pumped for this game and hope the Falcons can earn their ticket to the Super Bowl in New Orleans. I’ll be there and hope you will too! The picture above was processed using SNS-HDR. I also use Photomatix a lot to process HDR shots, and here is what it came out looking like. I’d be interested to hear which one you prefer. I like the one out of SNS better, it just feels cleaner to me. Let me know what you think. 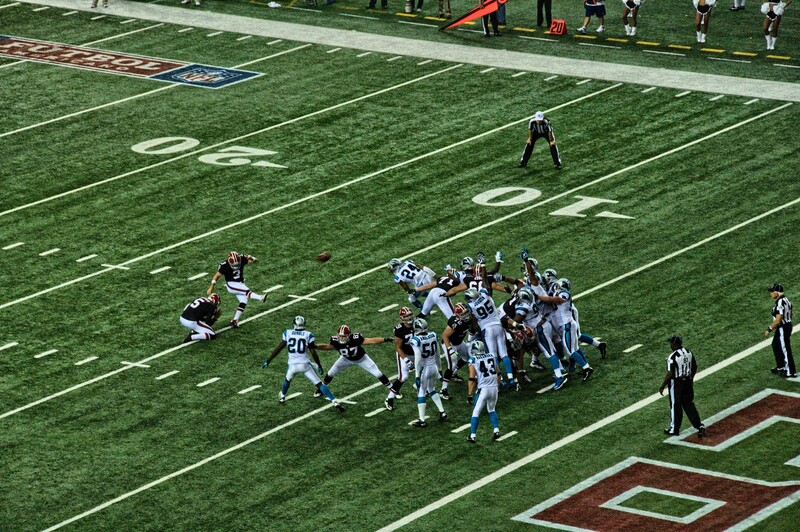 Today the Atlanta Falcons moved to 4-0 on the season with a win over Cam Newton and the Carolina Panthers at the Georgia Dome in Atlanta. 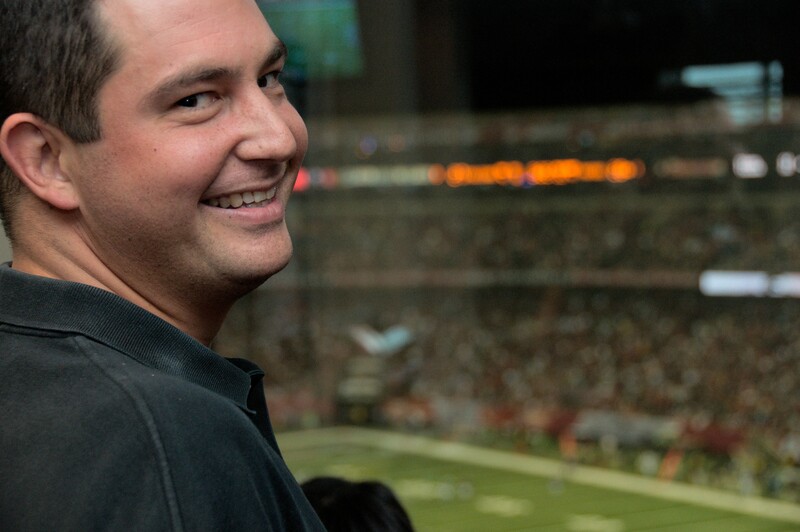 We were lucky to be sitting in a suite hosted by 790 the Zone and Star 94. 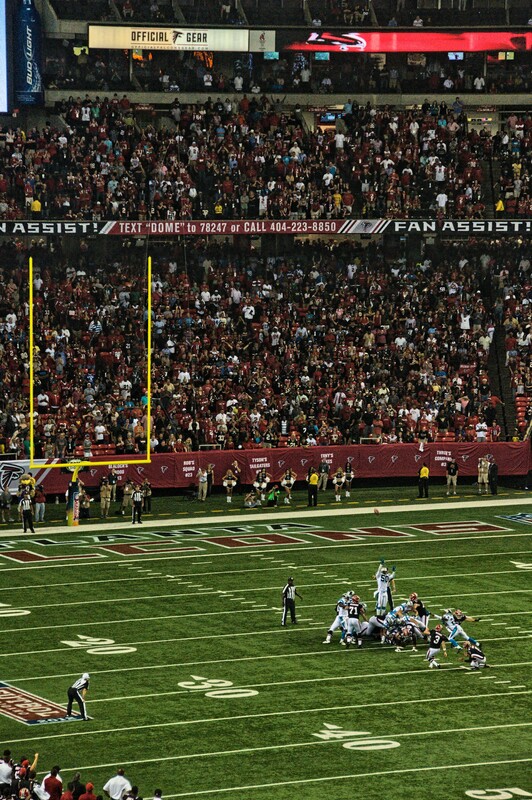 I got a few pictures, one wide angle HDR shot of the dome, a couple of field goals including the winning field goal with 10 seconds remaining in the game. On Tuesday I was able to go up into the Sovereign building at 3344 Peachtree Road while a couple of the condominiums for sale were on caravan. The Sovereign is listed by Atlanta Fine Homes and available units for sale can be seen here. Here is picture of the southern view over Buckhead towards the downtown Atlanta skyline from the 45th floor. A couple of years ago I was lucky enough to go on a helicopter tour of Atlanta. It was an October day just after a front had moved through so it was crystal clear out, perfect for a helicopter ride. 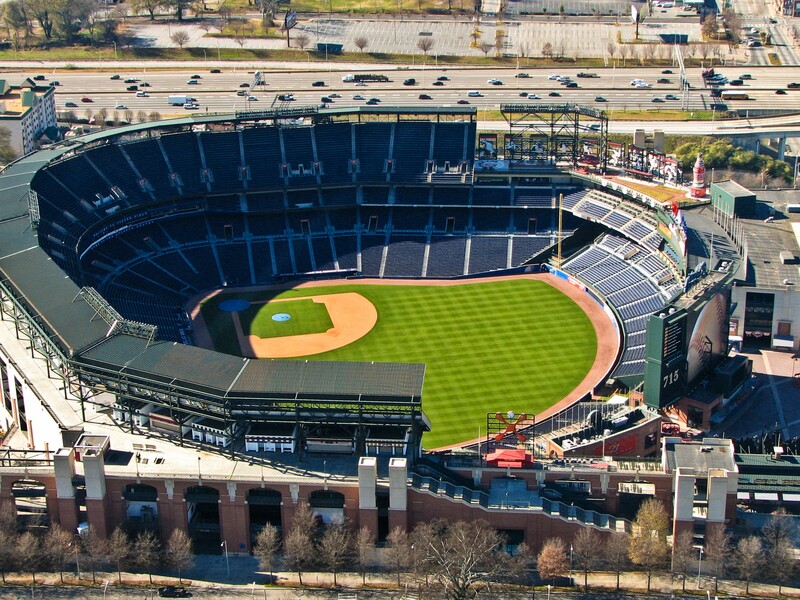 Here is an overhead picture of Turner Field, home of the Atlanta Braves and also the site of the 1996 Olympic Games. This week Henry and I made a visit to the King Center to do some research for his upcoming class project. 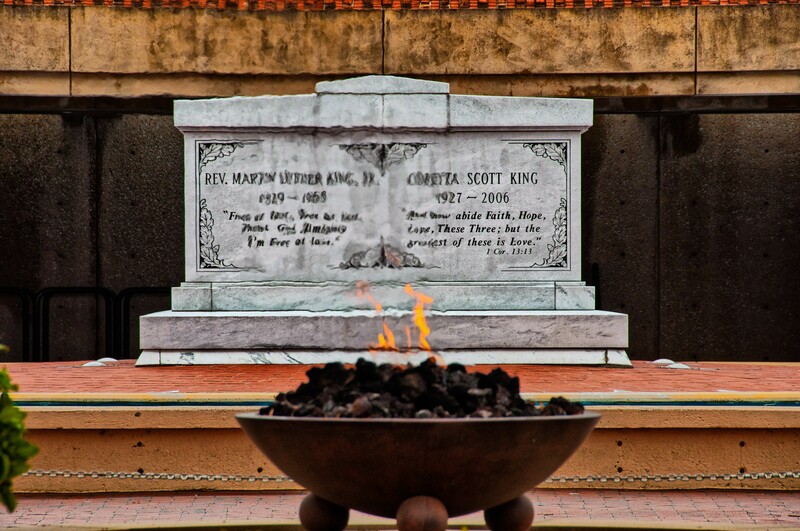 Here is a shot of the grave site where Dr Martin Luther King Jr and his wife Coretta Scott King are buried.